Now RoHS compliant. The v300H offers patented cross polarized subsurface technology into an affordable package; halogen light AC powered. Suggested use with sclerotherapy, hair restoration, tattoo removal, general surgery or aesthetic filler procedures. Revolutionary patented cross polarized technology allows the user to see approximately 1mm below the skin’s surface. The v300H emits a larger, 6 to 8 inch diffused area of light which is preferred by some physicians when used for general dermatology, sclerotherapy and hair restoration. 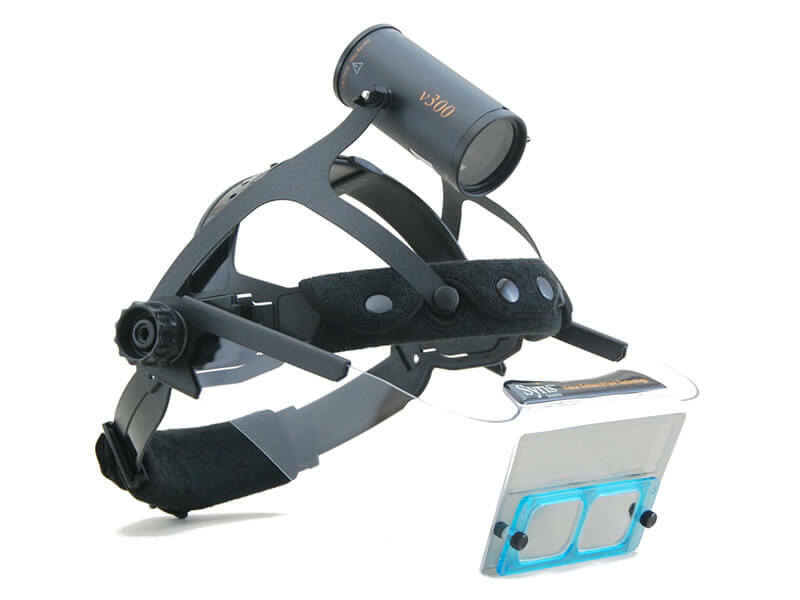 Combine this with changeable magnification and you have the complete visualization system for all of your needs. Allows user to be hands free during procedures. The reduced glare minimizes stress and eye fatigue. Increased accuracy, reduced procedure time and reduced tissue damage are results that are benefits to the patient and medical professional.